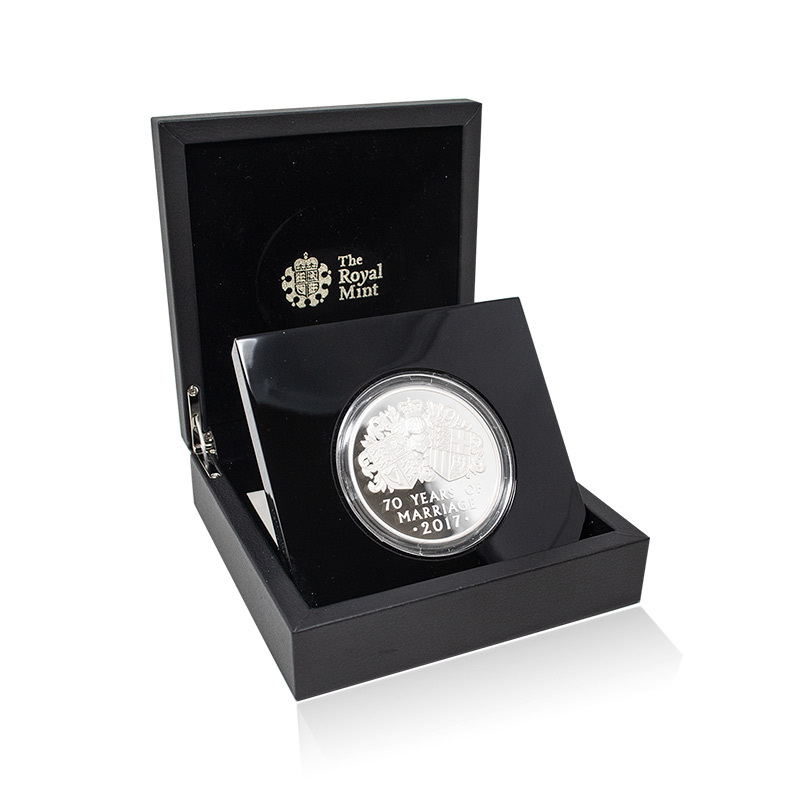 Struck to celebrate the 70th wedding anniversary of Her Majesty Queen Elizabeth II and His Royal Highness Prince Phillip, this limited edition £10 Silver Proof 5oz coin from The Royal Mint pays tribute to the couple whose marriage in 1947 was the start of a partnership that has stood up to the test of time. The reverse design by The Royal Mind engraver John Bergdahl shows the heraldic lineage of the two families with the inscription ’70 Years of Marriage 2017’. The obverse side of the coin is a portrait of the couple designed by Etienne Millner and is the only official coin for a decade to feature a combined portrait of Elizabeth and Phillip. 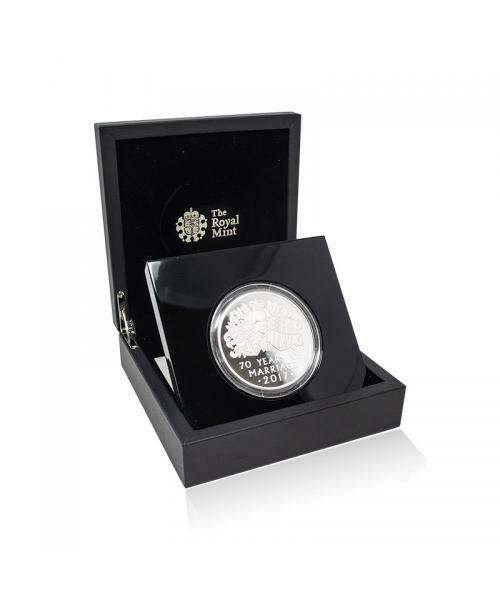 This silver proof coin comes in a presentation box, including a booklet about The Queen and Prince Philip's marriage and a Royal Mint certificate of authenticity. Elizabeth II married Phillip on the 20th November 1947 at Westminster Abbey. She was a 21-year-old princess and next in line to the throne; he was a 26-year-old just returning from serving in the second world war with the Royal Navy. The 2017 anniversary of the now 91-year-old monarch and 96-year-old Duke celebrates 70 years since their wedding day – and see The Queen become the first British monarch to celebrate a platinum wedding anniversary. Unlike their Diamond anniversary, the Queen and Duke chose to celebrate their platinum anniversary privately with a private dinner for friends and family at Windsor Castle. Their marriage has welcomed four children, eight grandchildren and from spring 2019, seven great-grandchildren. Please note: this is a pre-owned product. There is a small fold mark to the information booklet provided.